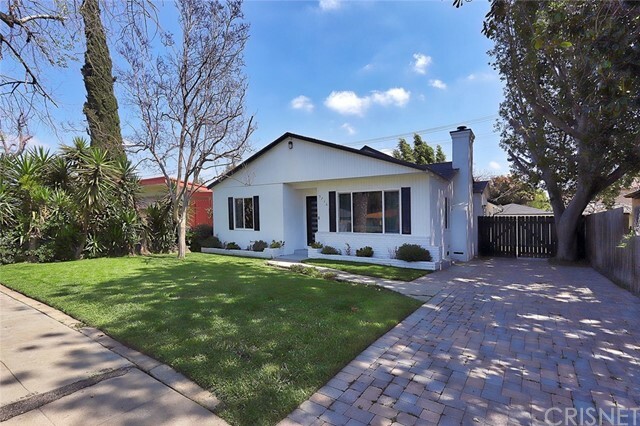 All Valley Glen homes currently listed for sale in Valley Glen as of 04/25/2019 are shown below. You can change the search criteria at any time by pressing the 'Change Search' button below. 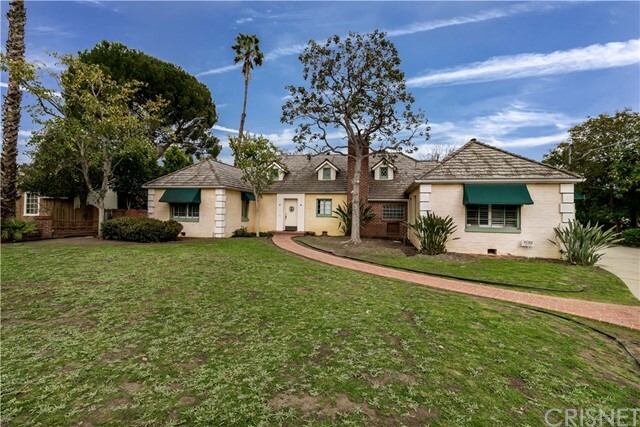 "Amazing and rare opportunity on a quiet tree-lined street in Valley Glen! Artists own home, This sprawling one-story home design influenced by Frank Lloyd Wright on hard to find street to street lot, approximately 3/4 acre flat! (27,441 ft. ). Fronts Allot / backs to Sunnyslope. Many opportunities development and otherwise! Inside you will find 2651 sqft. hardwood floors, open floor plan and three ample sized bedrooms. Living room with wood burning fireplace. Huge family room with walls o"
"Stunning Modern farmhouse extensively renovated and expanded with indoor/outdoor living and a pool on a huge lot over 10,000 sf. 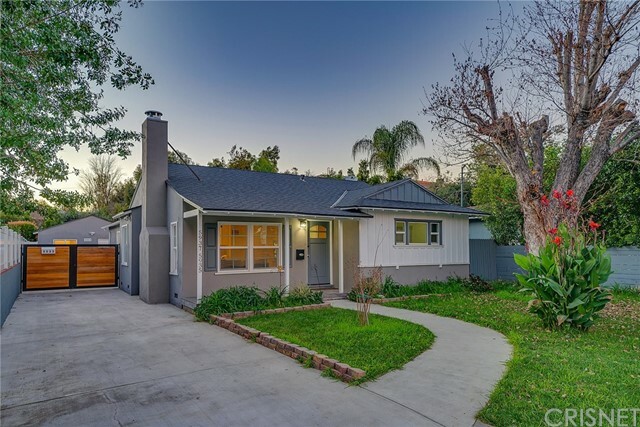 Located in Valley Glen, one of the best neighborhoods in LA, close to studios and the hip Sherman Oaks shopping district. A privacy gate, a charming olive tree and towering hedges welcome you to your own private courtyard. The bright open floor plan has high ceilings, light oak floors, and walls of glass. The great room features a living area, a large custom kitchen wi"
"Brand New Homes In Highly Desirable Neighborhood Of Valley Glen!!! Two Different Models 3197 sqft and 2800 Sqft. Be the first to live in this 2019 newly constructed, 2 level contemporary home located in Valley Glen. As you enter through the wrought iron door, you are greeted with high ceilings and an open floor plan. This luxurious home features 6 bedrooms, 4.5 bathrooms with a bedroom downstairs, 3197sqft living space on a lot varying from 8,000-11,000sqft depending on location, double pane win"
"Brand New Homes In Highly Desirable Neighborhood Of Valley Glen!!! Two Different Models 2800 sqft and 3197 Sqft which offers 6 bedrooms. Be the first to live in this 2019 newly constructed, 2 level contemporary home located in Valley Glen. As you enter through the wrought iron door, you are greeted with high ceilings and an open floor plan. 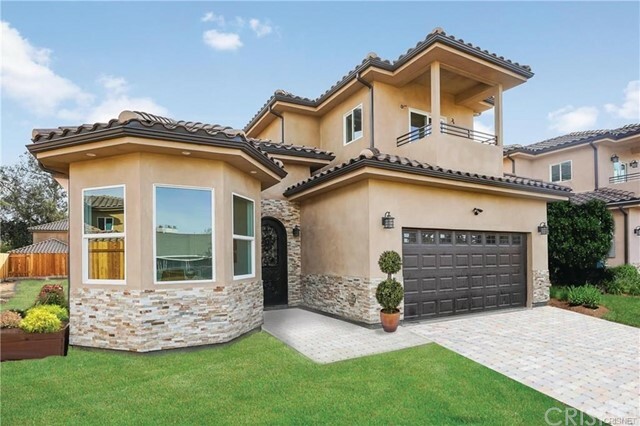 This luxurious home features 5 bedrooms, 3.5 bathrooms with a bedroom downstairs, 2800sqft living space on a lot varying from 8,000-11,000sqft depending on l"
"Welcome to the stunning, fully remodeled single story beauty in the heart of Valley Glen. 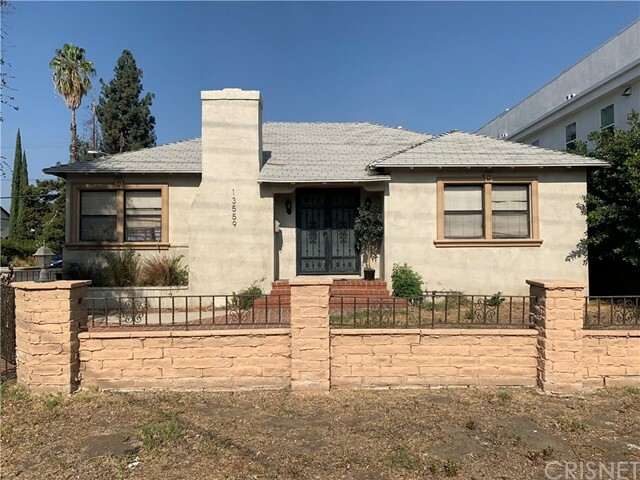 This 3 bedroom, 2 bathroom luxury home was remodeled in 2017 with the best design and finishes seen in the neighborhood. Open floorplan concept throughout brings the feel of warm hospitality to this home. Beautiful chef's kitchen with quartz counter tops, Wolf Appliances and a large island. This smart home features many things as electrical operated blinds, alarm system, security cameras, speakers throughou"
"YOU WILL FALL IN LOVE FROM THE FIRST MOMENT YOU ENTER TO THIS PRIVET GATED CUSTOM DESIGNED MINI RESORT. 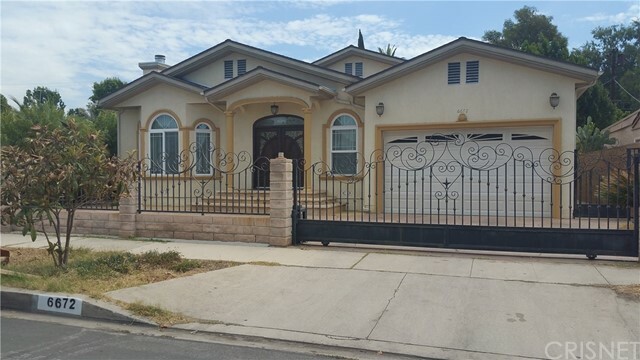 DOUBLE DOOR ENTRANCE OPENS TO THE HUGE LIVING ROOM AND DINING AREA, BAR, CUSTOM DESIGNED INTERIOR AND CURTAINS, BUILT IN SURROUND SOUND SYSTEM, 10 FT CEILINGS WITH CROWN MOLDINGS, 8 FT CUSTOM MAHOGANY DOORS ALL AROUND. THERE IS SET OF CHANDELIERS CUSTOM MADE OUT OF SEE SHELLS FOR ENTRANCE, DINING AREA AND ABOVE KITCHEN BAR TOP. NOW LET'S GO TO CUSTOM DESIGNED AND STATE OF THE ART KOOKS KITCHEN"
"Stunning Modern New Home in Valley Glen. This light-filled gem boasts an Open Floor Plan, living room with Fireplace, Dining Room, Family/TV Room, Open and Newly Renovated Kitchen, Office/Den and Master bedroom with Walk-In Closet. The Main House is approx 1,950 Sqft. 3 bedroom 2.5 bathroom with additional Office. Step out of the master bedroom and into an ample green backyard to enjoy NEW POOL and gazebo. Have. 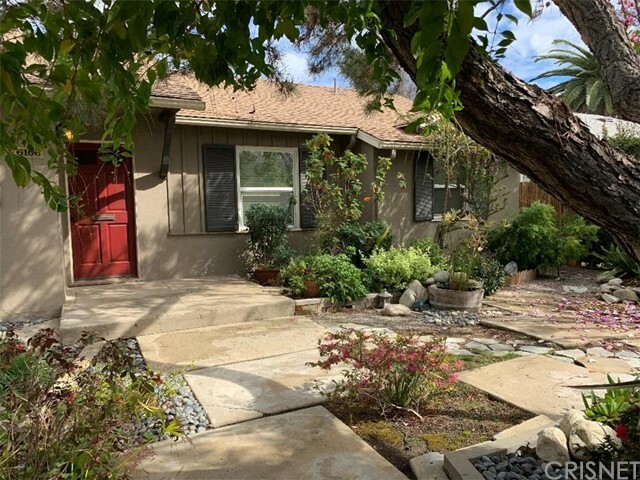 This home is equipped with a Detached Fully Permitted ADU / GUEST HOUSE, includes ki"
"Look no further than this Valley Glen gem with amazing curb appeal and upside potential! We present 13401 and 13403 Friar St in Valley Glen - Perfect for a large family, an extended family or investor! Use your imagination to create your own unique dream home! Main house features 3 bedrooms and 2 baths completely remodeled. Permitted 2nd dwelling consists of 2 bedrooms and 1 bath, with Cert. Of Occupancy. 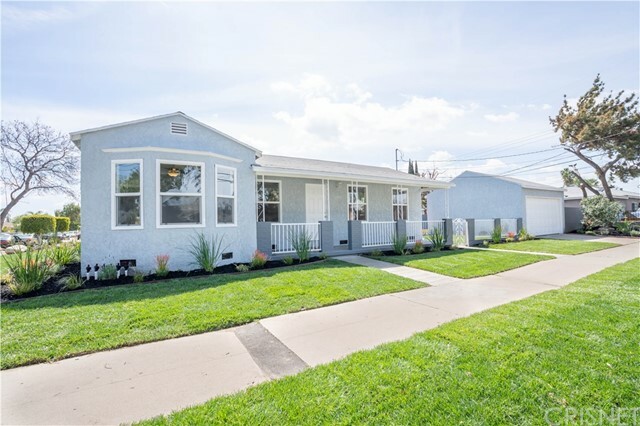 Both units are remodeled and move-in ready condition! Two separate electric meters! 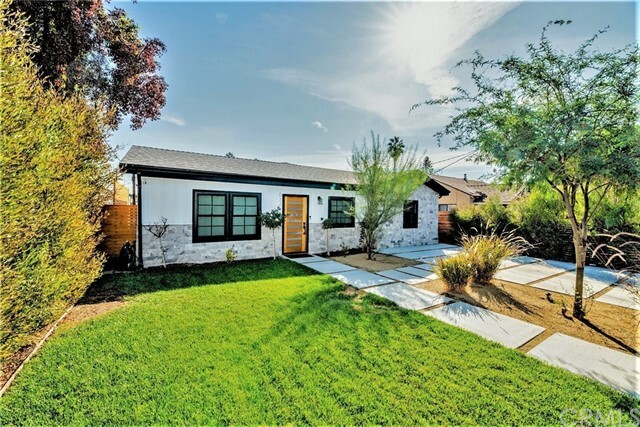 Newly p"
"Stunning, completely remodeled, gated, turnkey farmhouse modern, located in desirable Valley Glen. Intelligently designed with privacy in mind featuring automatic wood gate fencing. Grand entrance welcomes you with an open floor plan and an abundance of natural light in every room. State of the art kitchen design with stainless steel appliances, custom cabinets, quartz counter-tops and large island. Spacious master with en-suite bath with wall to wall marble. Home features high ceilings. The ext"
"Welcome to this Valley Glen stunner. 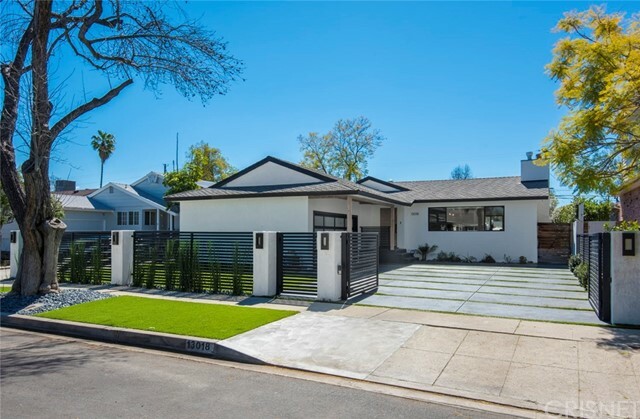 Just minutes from the new NoHo West project this contemporary completely remodeled home with brand new permitted additions is ready for the pickiest buyer. Thousand and thousands were spent in the upgrades. Everything in this homes is now. Shows like a model, beautiful open concept floor plan features include 3 bedroom with a brand new added master bedroom and bathroom, 2 bathroom, chic entertainers chefs kitchen with quartz counter huge center island and sta"
"Welcome to this Valley Glen sensation! 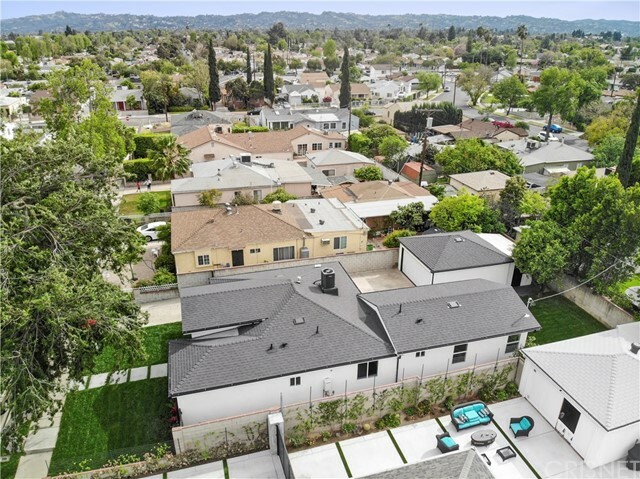 This fantastic single story home situated in a very prestigious Valley Glen neighborhood resides the most picture of a modern home for a modern family. 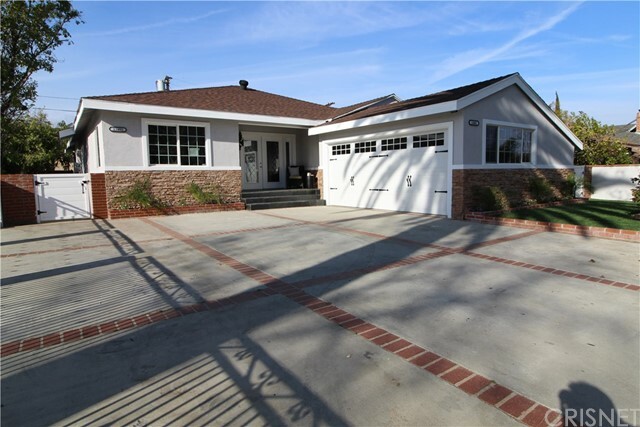 This beautiful remodeled home rests comfortably on a 5,801 SqFt lot. It boasts 3 bedrooms w/ 2 fully renovated bathrooms, a spacious living area, modern dining room and a kitchen for a total of 1466 SqFt. Ample open floor plan that features a new kitchen with quartz counters, center island and brand new stai"
"Brand new construction in fast-rising Valley Glen offers beautiful contemporary design in a central location. The detached residence features 4 bedrooms, 3.5 bath and a private rooftop deck with panoramic views. On the ground level find a bedroom suite, patio and two-car garage. Upstairs are open-plan living, dining, powder room, a covered deck and sun-splashed kitchen with center island and stainless Bosch appliances. Third level has two more bedrooms plus the Master Suite with a spacious walk-"
"Traditional Home on a Charming Street in Valley Glen. Beautiful hardwood floors and smooth ceilings run throughout home. The fenced in courtyard garden and private backyard offer a great deal of seclusion outdoors. The home has a great floorplan for entertaining with a bright kitchen, garden window and breakfast bar that opens to large living room and den overlooking lovely yard with covered patio. Master suite includes a large walk-in closet and huge master bath with a double sink, vanity and s"
"Brand new construction in fast-rising Valley Glen offers beautiful contemporary design in a central location. The detached residence features 3 bedrooms, 3.5 bathrooms and a private rooftop deck with panoramic views. On the ground level find a bedroom suite, patio and two-car garage. Upstairs are open-plan living, dining, powder room, a covered deck and sun-splashed kitchen with center island and stainless Bosch appliances. 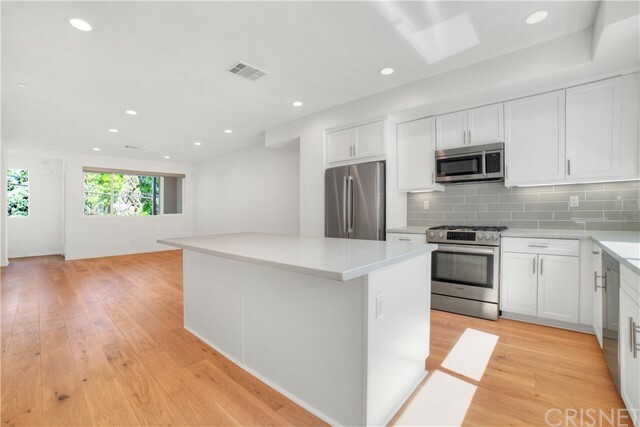 A pair of third level bedroom suites include the Master with a spacious "
"Brand New, Never Been Lived In 3+3.5 (Dual Masters) Valley Glen Home w/ Private Rooftop Deck, BD & BA Downstairs & Upgraded Throughout! Upon entering this contemporary beauty you will find a separate, lower-level bed & bath, patio, and access to your 2 car garage. The second level offers an open floor plan a sun-splashed center island kitchen with stainless steel appliances, upgraded backsplash and opens up to the dining area and living room that are tied together with upgraded wood flooring. 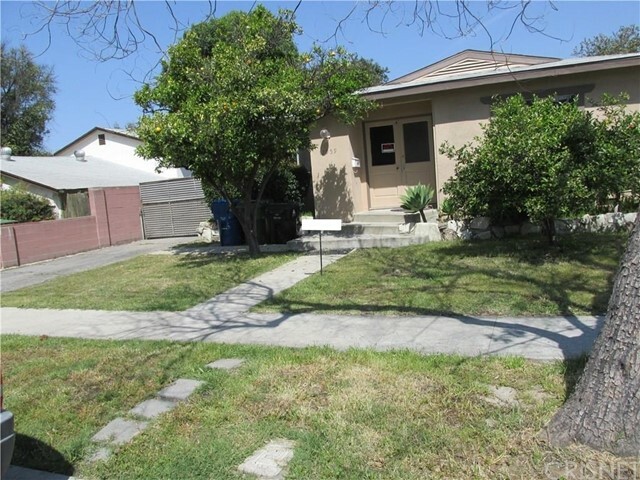 Th"
"BUILDERS DREAM HOUSE WITH LARGE POOL, COSMETIC FIXER, 3 BR + 2 BATHS"
"JUST LISTED!! 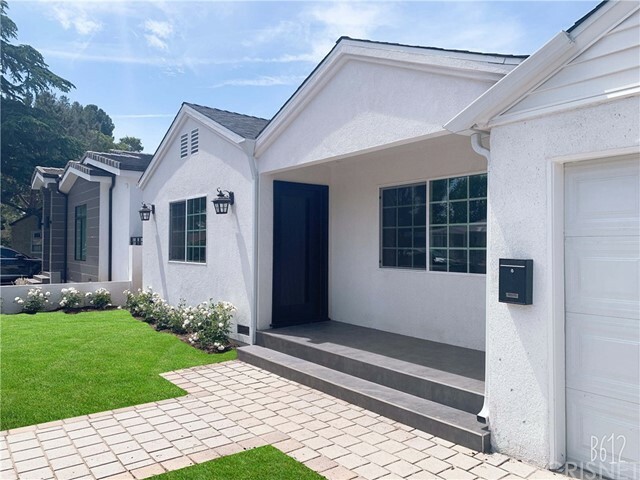 Beautifully remodeled corner lot home in the highly sought out neighborhood of Valley Glen just minutes away from the new NOHO West development. This home features 3 bedrooms, 2 full bathrooms, a cozy living room, dinning room, gorgeous galley style kitchen, all new. The outside living area has a nice uncovered patio area for your summer bbq s and family gatherings. The landscaping is completely new. There is also a detached 2 car garage with a new garage door that h"
"The perfect Townhouse to start making new memories in! Located in Valley Glen find a fabulous 2 bedroom, 2 bathroom unit with 1,197-SQFT of living space. Enjoy hosting or relaxing in a bright and welcoming living room, just begging for company. The dining room in this unit is spacious and offers sliding glass doors that lead out to a private patio. There is an in-unit laundry area, as well as a community laundry room. Enjoy cooking in a kitchen that is complete with stunning granite counter-tops"
"LOCATION, LOCATION!!!! Located in a residential quiet area with only 9 total units. 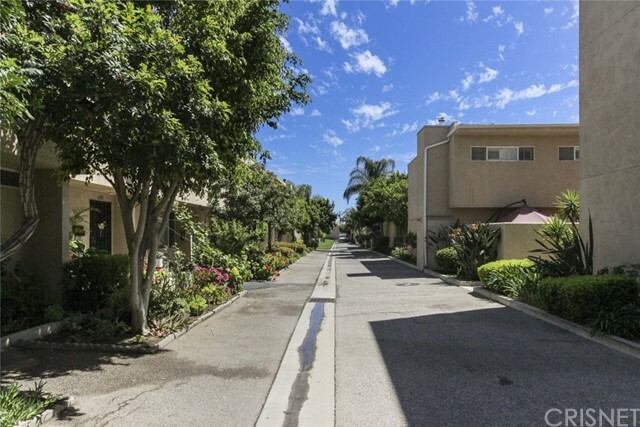 Blocks from Sherman Oaks and freeway access for any commute. Corner unit on the 2nd floor of building with gated parking structure below. Both rooms are spacious and have their own bathroom to call their own. Kitchen and living room are equally spaced out to maximize total square footage. Move in ready for it's next owner."